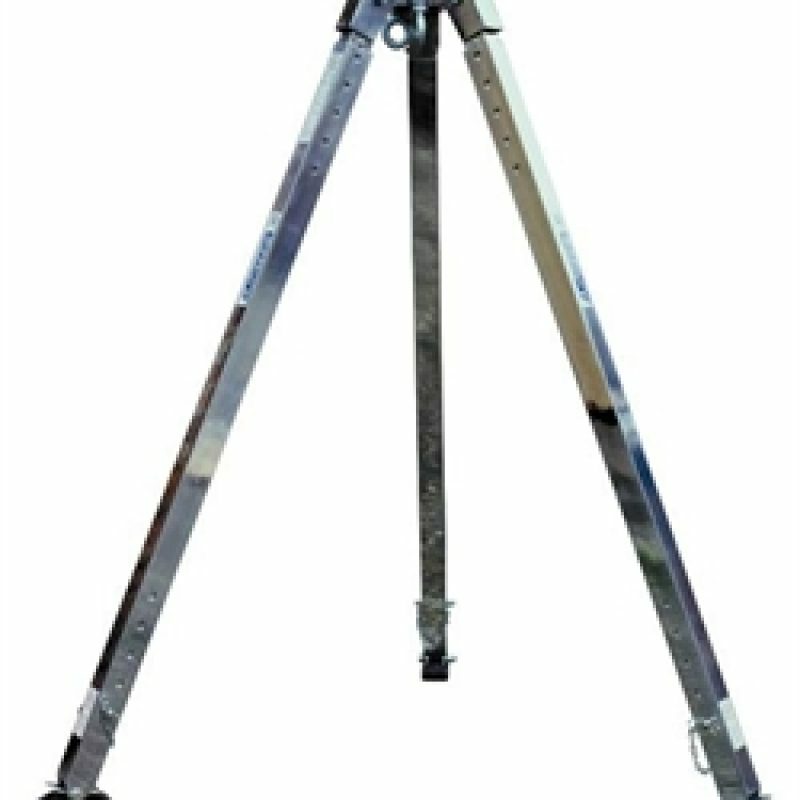 Confined space tripods hire is available at Professional Safety Services (UK) Ltd through our hire department. We have a wide variety of equipment offer a comprehensive choice for any equipment gaps you may have. Because of this we have continued increase our internal stock levels. A device which comprises of a retractable lifeline made from synthetic fibre rope, webbing or wire rope that is stored on a reel within a protective housing. The reel is spring-biased so as to wind the retractable lifeline in. Hence, this ensures that the lifeline is always under light tension to give the shortest possible length between the housing and the user. The lifeline tension allows the user to move freely around the work area. 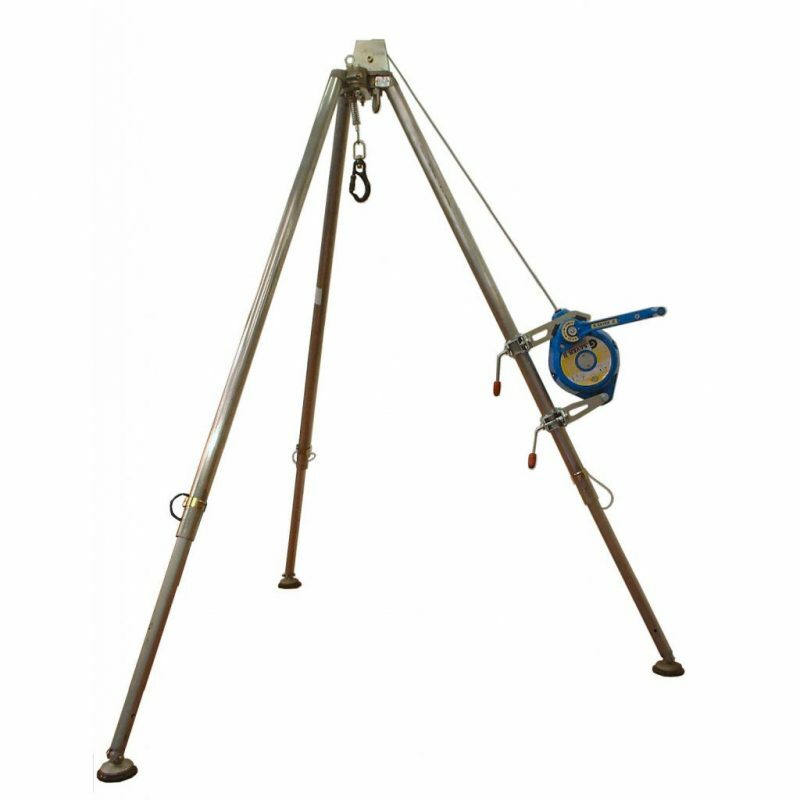 Retrieval device comprise of an emergency winch handle for extraction of personal. Because the unit is PPE, it must be inspected in the event of the emergency winch being used. 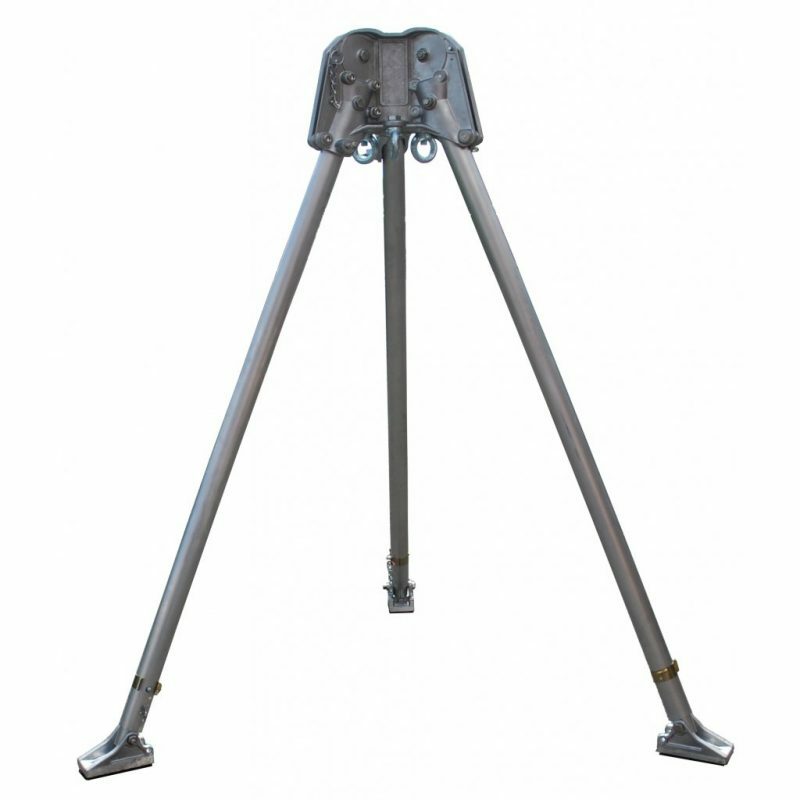 A tripod is designed to be a temporary anchor in fall protection systems. They need to confirm to standard CE EN795 class B and offer a stable platform for confined space entry to be carried out. Because of this they are a essential part of confined space entry kit. Winches are typically used to lower and raise workers under tension. Man riding equipment must conform to the standard CE EN 1496 and CE EN 796 for them to be classified as personal protection equipment and not machinery. Hence many pieces of equipment can be mixed up when it comes to selecting the correct equipment in man lifting environments.